Hair Salon - Broseley, Telford. Address; Apples Hair Dressers, 29 High Street, Broseley, Shropshire. TF12 5EZ. Apples Quality Hair Salon have extensive experience in all aspects of hairdressing and are experts in cutting, colouring and perms, including permanent hair straightening and relaxing. Hairdressers - Telford Shopping Centre, Telford. Address; Hair Express Hair Dressers, 59 Southwater, Telford Town Centre, Telford, Shropshire. TF3 4DE. Hairdressers - Appley Castle, Telford. Address; Jax`s Hair Dresser, Apley Home Farm, Apley Castle, Telford, Shropshire. TF1 6DD. 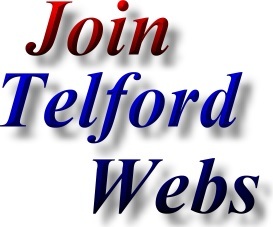 Telephone Number; Telford (01952) 245050. 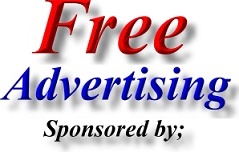 Hairdresser, Tanning and Beauty Treatments in Dawley, Telford. Address; JJ Hair Dresser, 38 Manor Gardens, Dawley, Telford, Shropshire. Telephone Number; Telford (01952) 591473. Hair Salon in Madeley, Telford. 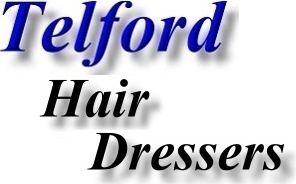 Address; KLF Hair Salon, 1 Horseshoe Court, Madeley, Telford. TF7 5BG. Hair and Beauty Salon - Randley, Telford. Address; Panache Hairdressers, Unit 3, Randlay Centre, Telford, Shropshire. TF3 2LH. Hair Salon - Hills Lane, Madeley, Telford. Address; Sam West Hair Salon, 28a Queen Street, Hills Lane, Madeley, Telford, Shropshire. TF7 4BL. 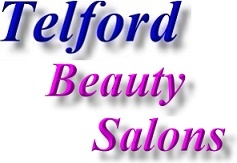 Hair Salon - Wellington, Telford. Address; Scizzorhands Hair Salon, 6 Hordley Rd, Wellington, Telford, Shropshire. TF1 3NR. Unisex Hair Salon - Dawley, Telford. Address; Tribe Unisex Hair Salon, 53 High St, Dawley, Telford, Shropshire. TF4 2EX.